There have been a few riders in the world of off-road racing given the title GOAT “Greatest Of All Time” by fans, most recently Ricky Carmichael in American motocross or Stefan Everts in European motocross with 10 World Championship wins. 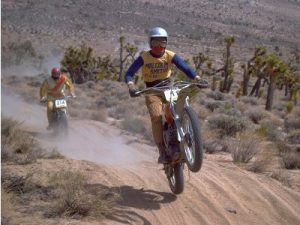 But in the world of Enduro and Desert racing, Malcolm Smith must surely be declared the Greatest Of All Time. Malcolm, who was inducted into the Motorcycle Hall of Fame in 1998, has a racing career that includes six Baja 1000 victories (three on a motorcycle and three in a car), four Baja 500 wins, eight gold medals in the International Six Day Trials (ISDT), fourth in 1998 Paris-Dakar Rally and a collection of four-wheel victories. However, it was his co-starring role in the movie classic ‘On Any Sunday’ that brought him to the attention of the public. 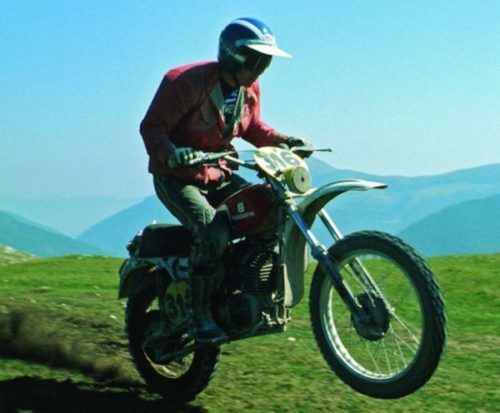 The movie, produced by Bruce Brown and Steve McQueen launched America’s love affair with dirt biking. Malcolm said that taking part in Bruce Brown’s 1971 classic movie nearly didn’t happen. Bruce Brown, already famous for his surfing movie “Endless Summer” was a customer of Smith’s. Smith had just purchased the K&N dealership and was having a difficult time managing the business. When Brown called and said they were about to start shooting the movie and Smith reluctantly told him he wouldn’t be able to be in the movie because of the time involved in running the dealership. Brown said he would call back in a month when they start shooting. Fortunately, when he called back, Smith had gotten things under control and was able to take some time to do the movie. Many of us got the motorcycling bug the same way, myself included. 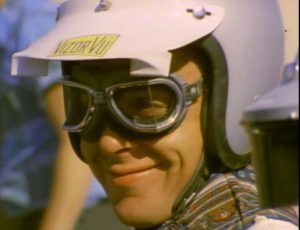 Malcolm Smith was born on March 9th, 1941 on Salt Spring Island in British Columbia just a year after his parents met. Elizabeth Ann Beesley was 32 years old when she met Alexander Malcolm Smith, a famous Arctic explorer, and gold miner. Even at 80 years of age, he was a handsome man and he convinced Elizabeth to go on a hike with him. It must have been some hike as they married the next day. Malcolm spent his early years on a sheep ranch on Salt Spring Island. By the time he was five, they moved to sunny Southern California. When Malcolm was 13 his parents bought him a Lambretta motor scooter. The Smiths lived next to the San Bernadino National Forest, so the young Malcolm and a neighborhood friend turned their scooters into off-road bikes. Smith would raid the dumpster of a local dealer for parts and tires to use on the Matchless. One day the shop owner, Rush “Pappy” Mott got tired of seeing him around the trash and offered him a job to work after school and during summer. Smith credits Mott with giving him a good business sense. Smith enrolled in college to become an aviation mechanic. Around the same time, he met Norm McDonald and Kenny Johnson (who founded K&N filters) and Norm convinced Malcolm to work for them building racing engines. Soon Malcolm broke the ‘bad’ news to his parents that he was dropping out of college after three years to work on motorcycles. His first taste of competition was at a local hare scramble in Riverside, California. 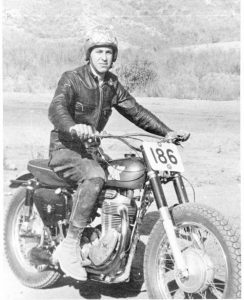 He rode his Matchless to the race and competed on it, crashing 13 times and still finishing up in second place. The next month he competed again and won this time. Malcolm began racing a Greeves for Nick Nicholson. He recalls he had a big sponsorship deal with Nicholson. If he won the race he would send him the receipt for the entry fee and Nicholson would pay it. One day in the mid-1960s a gentleman came into the shop and asked for Smith. That man was Edison Dye. He was importing a Swedish made motorcycle called a Husqvarna into the country and wanted Smith to race the bike. 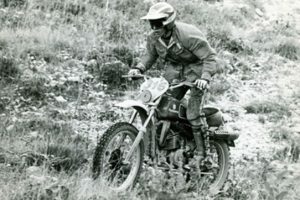 Smith was at first reluctant to give up his Greeves ‘sponsorship’, but two things changed his mind: the Husky was a great dirt bike, and Dye promised to pay Smith’s way to compete in the International Six Day Trials (ISDT), something Smith had dreamed about but was unable to afford to do. Smith was successful racing the Husky from the start, and he soon became a dealer. His name has since become synonymous with Husqvarna. In 1966 Smith participated in his first ISDT in Sweden. He crashed many times, not used to muddy, slimy conditions being a desert racer, yet pressed on and won a silver medal. The next year in Poland, he returned and won his first gold medal, and would go on to win gold seven more times in his racing career, making him the most successful American rider in the history of the Six Days competition to that point. Malcolm is also famous for his Baja 1000 exploits in Mexico. 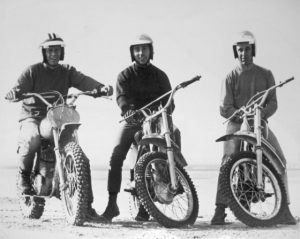 In the 1967 Baja event, Smith rode his Husky and was joined by legendary desert racer J.N. Roberts as his teammate. The two finished first placed motorcycle and second overall. At about the time ‘On Any Sunday’ came out, Smith began importing nylon-lined throttle and brake cables from Europe. They sold like hotcakes in America and his business Malcolm Smith Racing Products was born. The business expanded into selling racing jerseys, pants, boots, gloves, and finally just about any accessory for off-road bikes. What started as a 4′ x 8′ table in his K&N dealership became the largest and best off-road parts supplier in America. Smith sold the business in the late 80’s to spend more time with family but still serves as a consultant to the business that bears his name. Malcolm is happily married to his sole-mate and business partner Joyce. They have four children, Lucy, Joel, Ashley, and Alexander. The Smiths are a very close family and all ride motorcycles. The new Malcolm Smith Motorsports was formed and son Alexander is General Manager, and daughter Ashley is Powersports Apparel Manager. 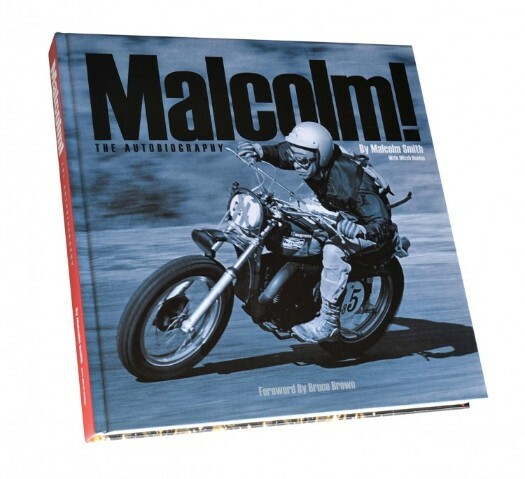 In 2015 Malcolm recently released his autobiography: Malcolm! The Autobiography with Mitch Boehm. It is a hardcover coffee-table book full of his personal storytelling and never seen before photographs from his personal collection. It’s a must for any motorcycle or dirt bike enthusiast. It’s all there, told by the man himself. The Smiths conduct their annual charity ride across the Baja Peninsula, Malcolm’s Seven Days of Baja. The event started in 1995 raises money to contribute to orphanages in Mexico. Their personal project has been the El Oasis Orphanage in Valle Trinidad were they donate their time and money. To date, they have raised over $700,000 for the children of Baja. Have you seen the movie ‘On Any Sunday’? Did it inspire you to ride dirt bikes? Have you visited Malcolm Smith Motorsports in Riverside, California and met the man himself? Please feel free to share your story with readers below.